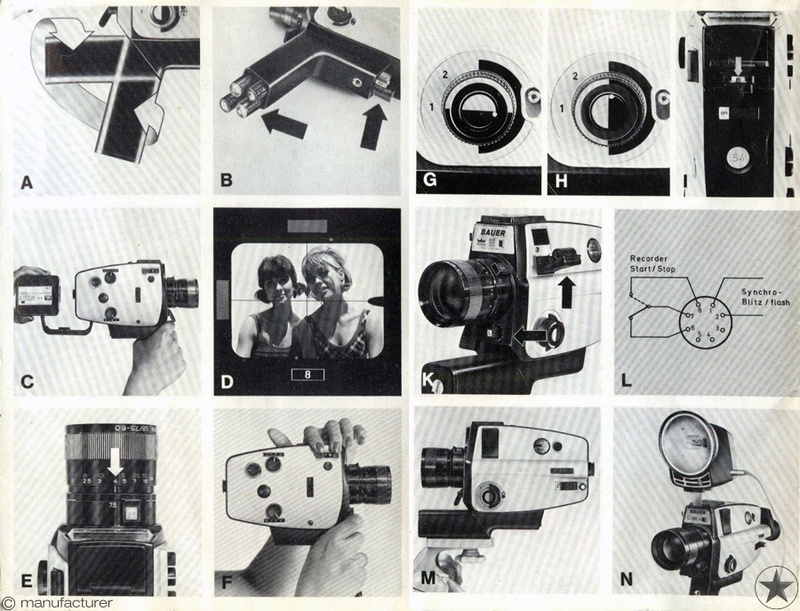 The camera for people who want to do more than remember. 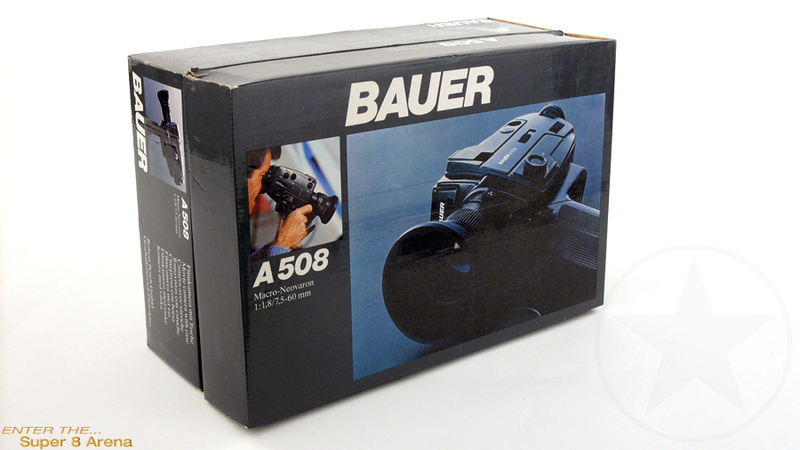 The A range Bauer camera is a movie camera for people who take filming seriously. No, it doesn't stand for Amateurs, although this type of movie makers will easily handle this kind of camera, it's a plain "A", like the "A" grade or "A" quality, just an "A". If you only want to film the family at your birthday party, than it's not the camera for you. 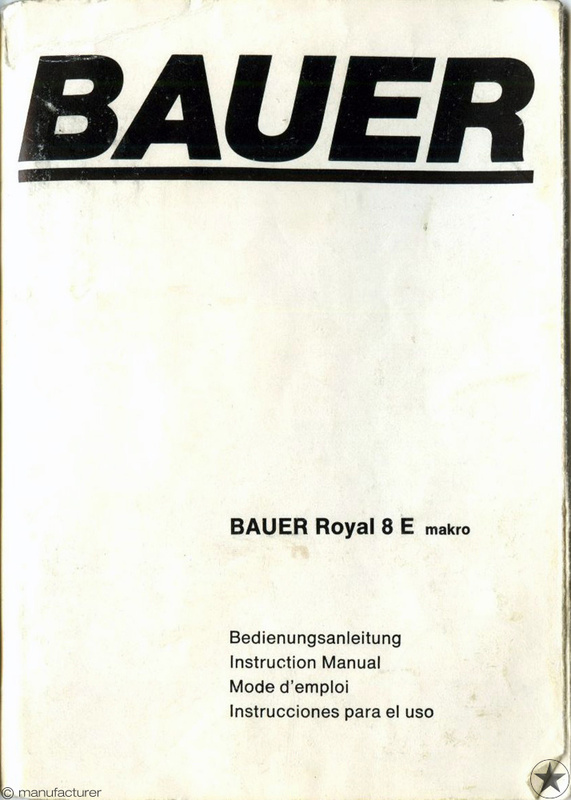 But if you want a camera that extends your creativity, a camera that's capable of the most sophisticated filming techniques, then you'll find the Bauer A range unbeatable. For a start it's completely automatic with power zoom lens which enables you to do trial zooms without wasting film. At any desired speed, because you can definy it. The built in split-image range-finder guarantees perfect focusing. With the macro feature you focus right down to zero - so you can film as close as to the lens surface. 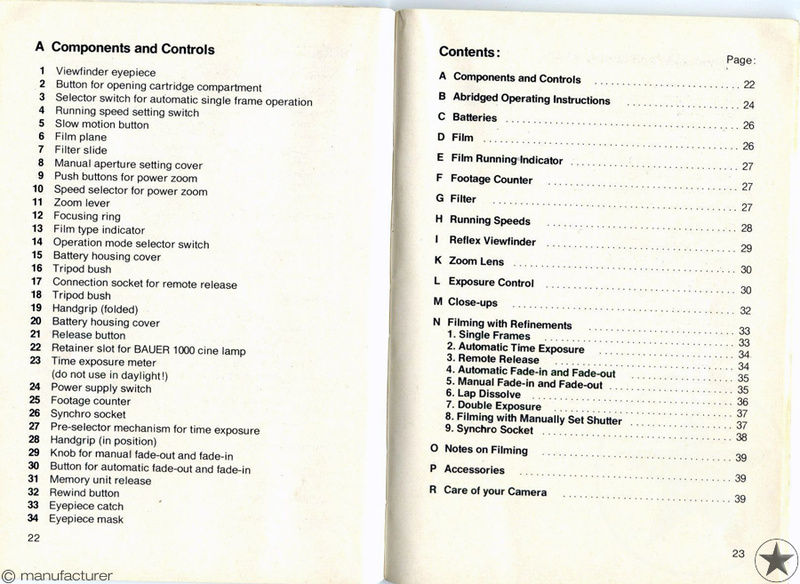 The exposure control is fully automatic under any lighting conditions (although you can switch to manual if you prefer). Electronically controlled three films speeds, instant slow motion, built-in intervalometer and finally, timed auto exposure (for those wishing to film streaks of colored light on roads or highways). Naturally, as you would expect from a professional unit, that's not all, but we should remain silent now. 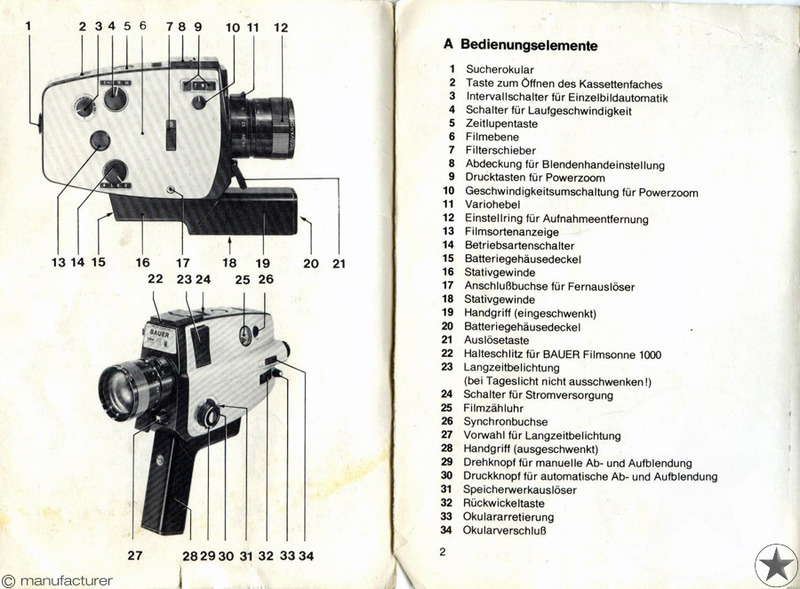 Be assured you won't be frustrated by limitations with this tough and exceptionally good looking Super 8 mm film camera. 12, 18, 24, 54 fps instant slow motion, single frame. time lapse, fades, rewind, auto b.